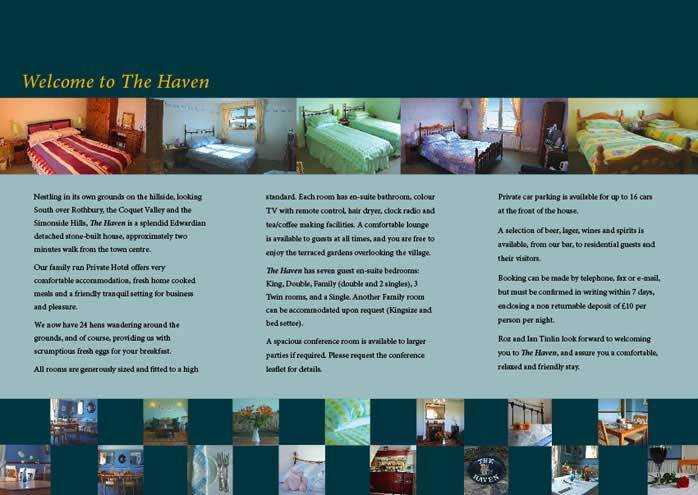 Here is a sample of an A4 tri-fold leaflet design of a local Hotel in Northumberland. 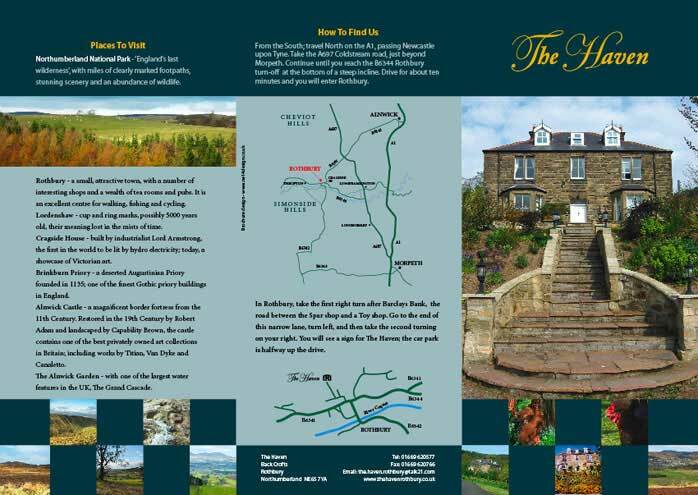 The leaflet was designed to incorporate lots of photographs of the various guest bedrooms of the hotel, with close up details and some images of the beautiful Northumberland countryside near Rothbury. The back of the leaflet also features maps with directions to the hotel.